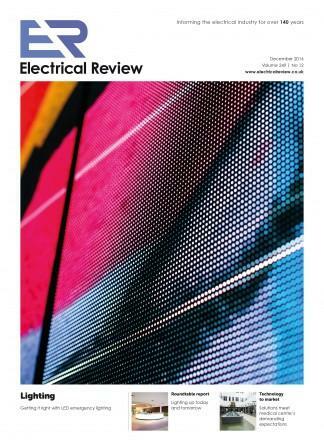 “Electrical Review is an excellent trade magazine, and one that I read because I can respect its content. As editor, Elinore Mackay, stamps a mark of professionalism on it, making it relevant, factual and interesting. The articles within it are varied to appeal to many aspects of the electrical business, and allow those in one area to stay current with technology in all others, and with an open mind one can see how they can be adapted to other market areas. Be the first person to tell us what you think about Electrical Review and you'll save £2.50 on your next purchase!